Find the best price forBest Friends! A whole new direction for Tony Ross's bestselling Little Princess. The second in a set of colour first readers -- the Little Princess is not so little anymore! The not-so Little Princess is growing up! Being a princess, she is always having to entertain new friends and she never likes them. But when Ollie, with his gangly limbs and old-fashioned way of speaking, turns up at the palace one day, the not so Little Princess realises she's never met anyone quite like him before. After a stolen picnic and the search for a hidden room, the not so Little Princess decides she might quite like to have a friend after all. These young fiction colour first readers will take Tony Ross's Little Princess to a whole new audience. 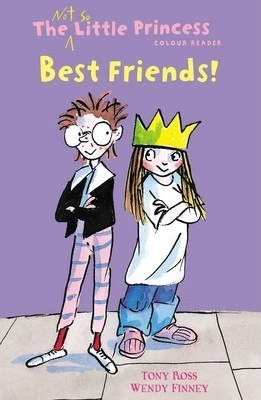 Compare New Book Prices for Best Friends!